UNIGATE CX DIN rail modules have been developed precisely for this purpose. 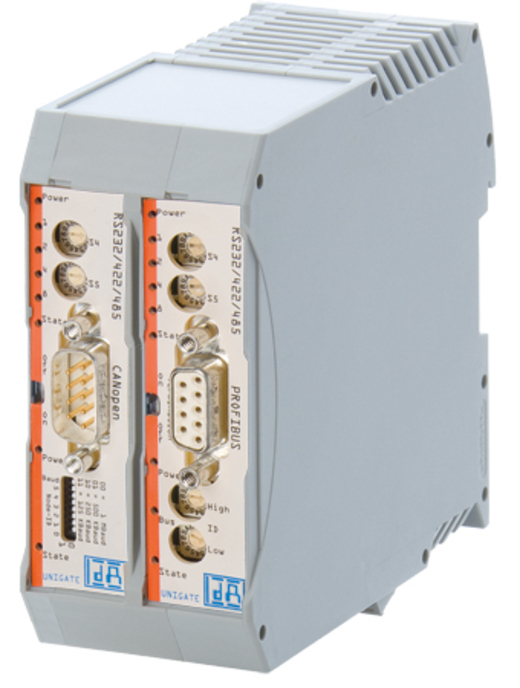 The units combine various fieldbus and Industrial Ethernet interfaces. Quasi-uniting two UNIGATE CL in a modular setup, UNIGATE CXs are available for any fieldbus/Ethernet combination. Currently there are about 120 variants available. Due to the constant development of new CL modules, for example in the Industrial Ethernet field, the numbers of available options are still rising. Upon delivery, the module is pre-configured (except for the IP address) and has Scripts for transparent data exchange.